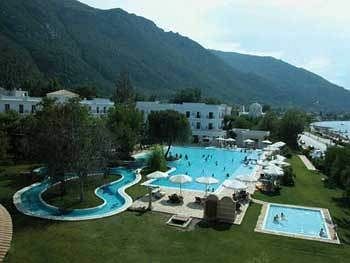 The World Senior Chess Championships 2012 will be held in the 5-star GALINI Wellness Spa & Resort Hotel in Kamena Vourla, Greece from 12 November (arrivals) to 25 November (departures). The opening ceremony, the games and the closing ceremony will take place in the Congress Center of GALINI Wellness Spa & Resort Hotel. PARTICIPATIONThe 22th World Senior Chess Championships for men and women are open to all players representing FIDE national chess federations, regardless of their title or rating, provided that the male tournament participants are born in 1952 or before and that the female tournament participants are born in 1962 or before. There is no limit to the number of participants per national federation. Accommodation and board will be provided at the 5-star GALINI Wellness Spa & Resort Hotel which is the official hotel of the event and where the games will also be held. Every participant and all national delegations have to register through the Organising Committee and use the official hotel. Registrations, bookings and visa invitations are made only through the OrganisingCommittee. Hotel payments for all players and accompanying persons must be made 20% in advance as described below and the remaining amount to be paid upon arrival. Lodging for players and accompanying persons includes breakfast, lunch and dinner. More nights at the same prices are possible on request. The championships will be played with the Swiss system in accordance with the FIDE Tournament Rules and FIDE Rules of Chess. The time control will be 90 minutes for 40 moves plus 30 minutes for the rest of the game with an increment of 30 seconds per move, starting from move one. Winner and Senior World Champion will be the person who, at the end of the tournament, has scored the highest number of points. If two or more players are tied, tiebreaks will be used. 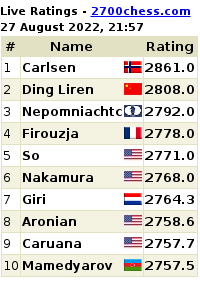 The title of “International Grandmaster (GM)” will be awarded to the winner of the FIDE World Senior Chess Championship 2012 who will receive the gold medal. The second place will receive the silver medal, while the third place will be awarded bronze medal. The same rules for the medal awards are applied to the participating women players, who play separately within their own tournament. The women play their own tournament to determine the Women World Senior Champion 2012. The minimum number of participants has to be 12 women out of 4 zones, in this case a closed 'Round Robin' tournament will be played. 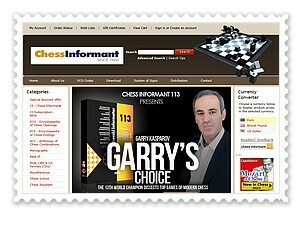 APPLICATIONS, REGISTRATIONThe national federations are kindly requested to register their players through the Organising Committee’s email:worldseniors2012@gmail.com The registration includes the FIDE ID., the passport number if visa application is necessary and the request for accommodation. Deadline for the registrations in Monday 1 October 2012. The total entry fee is 120 euros per participant: 70 euros to FIDE and 50 euros to the Organising Committee. GMs and WGMs pay only the 70 euros for FIDE. All the entry fees are collected by the Organising Committee on behalf of FIDE. 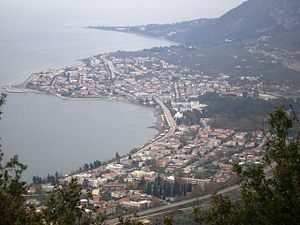 The nearest airport is the International Airport of Athens (190 km). Bus transfer is provided from the airport to the hotel at a cost of 70 euros per person (both ways). Transportation service is available on 12th and 13th November (arrivals) and 25thNovember (departures). Any other request can be met in communication with the Organizing Committee. Guest players and the defending champion will be provided free board and lodging, as per FIDE regulations, provided that the registration of such a player is received by 1 October 2012. Kamena Vourla is internationally renowned for its thermal springs. The world of relaxation, attention and indulgence awaits you at the Galini Spa Resort, a unique centre occupying a surface of 3000 square meters. There, we invite you to discover our philosophy, based on the Eastern ideals that harmony between body and soul is the source of true beauty and health. Embracing all aspects of your wellbeing, the Galini Spa invites you to rejuvenate in its magnificent surroundings, where relaxing music, enchanting design and décor inspired by the Arabian Nights create a truly unique retreat. Close to Athens (190 km to the north), the hotel nestles in a valley of eucalyptus trees, an ideal starting point for extensive walking and hiking tours, for trips to the nearby ski centre of Parnassos-mountain or for excursions to the Meteora monasteries, Delphi, Thermopiles and many other points of archeologic interest. Kamena Vourla is internationally renowned for its thermal springs.